***Disclosure-Sample product was received. All opinions stated are my own based on personal experience. My skin has been taking a beating from me in the last past months. When I am not running, I am on the bike. My body is in contact with the sun and of course washing my face can take a toll on my skin. Board Certified Dermatologist Dr. Marina Peredo says, “skin nourishment is a must.” It’s important to provide skin with the hydration it needs to ensure a perfectly clean, radiant complexion. 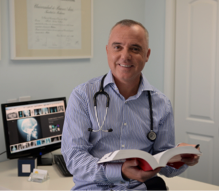 Dr. Peredo’s pick? Dickinson’s Original Witch Hazel’s NEW On-The-Go Refreshingly Clean Towelettes! Each individually wrapped Towelette offers even the most sensitive skin a healthy dose of aloe vera and 100% natural witch hazel to restore moisture balance and refresh skin on-the-go. Dickinson’s Original Witch Hazel is the only gentle, non-irritating skincare line formulated with natural witch hazel to effectively remove excess oil and impurities, without stripping skin of essential moisture. Suitable for all skin types, using Dickinson’s Original Witch Hazel will reveal perfectly clean & naturally balanced skin. This have been great. We used them all last week when we were at SeaWorld. I wanted to stay refreshed. Hanging out at a theme park all day, we were sweating, in the sun, and having fun. These were great to take on the go and carry in my bag. The link is still working if you want to make your own. Go to Build Your Disney Side. 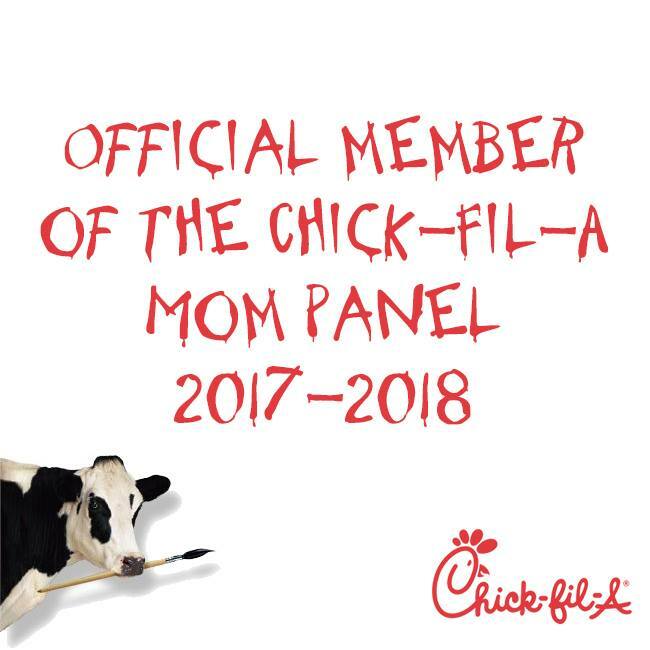 Click “Get Started” and create a decal by choosing a family, names, and background! Make it your own....then wait in the mail. This is perfect because we are counting down for our Disney trip in August. NOW WE ARE SHOWING OUR DISNEY SIDE!!! ***Disclosure-Sample product was received to review. All opinions stated are my own based on personal experience. Introducing brand new British Sterling mens cologne, a favorite from the 70s (over 50 million sold!) that is making a new comeback with two fantastic blends - H.I.M. Reserve and H.I.M. Private Stock. My husband likes the new fragrances. They last all day long is what he says, and he has long days. Want to win a set of these for your special guy? 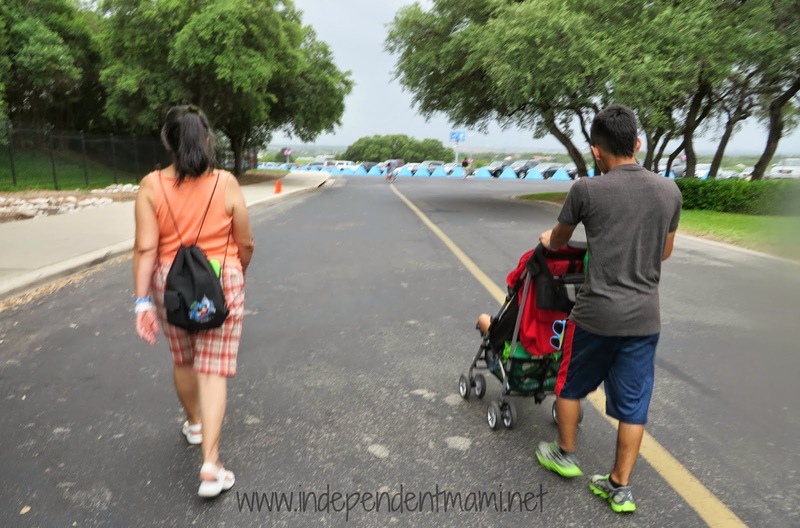 Disclosure-As a Britax Latina Blogger/Advisory Board Member (and in partnership with Mami Innovative Media), this post is part of a sponsored outreach. All opinions expressed are my own. It is officially Summer!! Get out of the house. Go into your garages, or closets and dig out the strollers, it is time for families to get out and get moving. For some of us, our kids have been out of school this entire month, but it is Summer now and we all need to live healthy lifestyle by getting outdoors more. If you don't have little kids than you do not need strollers but those of us that do, we no longer have any excuses. 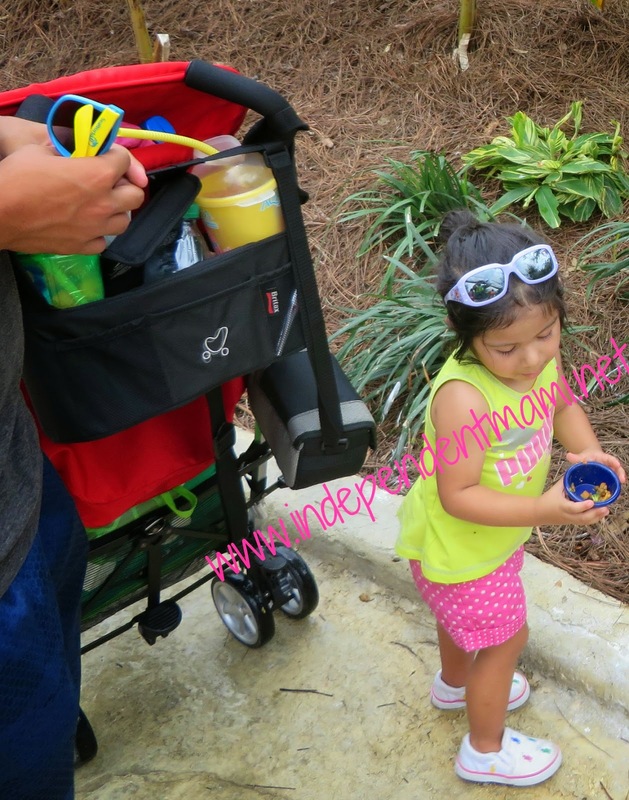 Pack some snacks, waters, and put the kiddos in the stroller. Walk to your neighborhood park, walk to the store, or take a trip. Summer time for many is a great time to travel. We have many trips planned this year. This past weekend we visited the Hamilton Pool Preserve in Austin, then we headed to Seaworld and even made a stop at the Famous Market Square in San Antonio. All of this with a toddler in toll but one of the things that made our trip easier was having a place for my kiddo to rest. Kids get tired easily. Spare your body and back by not having to carry them everywhere. Our trips this Summer will involve a lot of walking and those little legs cannot handle a full day of theme park walking or sightseeing. Nap time. My toddler gets cranky when she gets tired. But her nap time allows her to recharge. I am glad when she gladly curls up in the stroller and takes the much needed break during our adventures. Sometimes just talking her for a stroll with get her body relaxed enough to take her naps. Sunny Days. It is getting hotter and hotter as the days go by. We need to protect our kids from the sun by applying sunscreen. 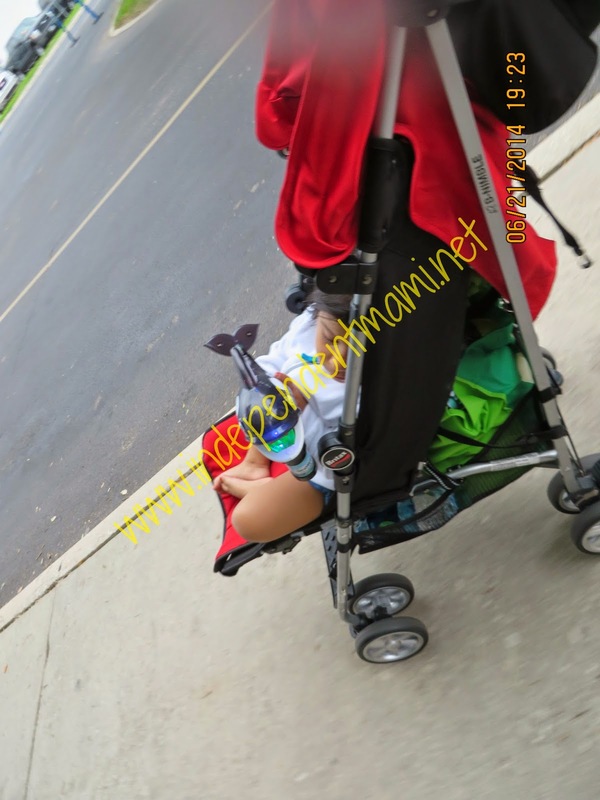 In a stroller, kiddos can get out of the sun and cool off. Even when us adults can't find shade, at least our kids can be shaded wherever you go. Carry All. With kids you kinda have to carry it all and the kitchen sink. Are you those kinda parents? I wasn't with my 1st but with my 2nd I, kinda have to be. 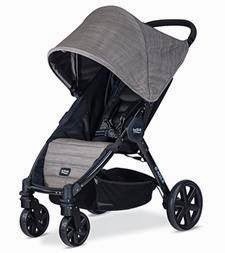 Strollers are great to give your hands a break from carrying the diaper bags, purses, or any extra items carried by the kiddos. Yes, their dolls, and toys that they promise they will carry and you end up carrying the rest of the time. B-Agile 4 stroller now with a new four-wheel design. It is lightweight with a compact frame with a one-hand, quick fold. It features a five-point harness system with a no-rethread adjustable harness and head pad for a secure fit. It has an extra large canopy with mesh ventilation window. It has spacious under-seat storage and a handy zippered pocket on the back of the seat. What are you doing this Summer? Don't forget your strollers! I know we won't. Saturday was the 1st day of Summer. Our Summer started on Friday when we took a road trip to Austin to visit the Hamilton Pool Preserve. I like the opporunity for road trips to be educational learning for the entire family. Just because school is out does not mean we stop learning. Even the little one can learn a thing or two, and we are never too old to stop learning. With Austin being so close to home, we have decided to visit another beautiful place I never knew excited. As I was goggling beautiful places to visit a place here in Texas popped up. I had to double check that this place was really real and it was. Hamilton Pool Preserve is a historic swimming hole which was designated a preserve by the Travis County Commissioner's Court in 1990. Located 3/4 mile upstream from its confluence with the Pedernales River, Hamilton Creek spills out over limestone outcroppings to create a 50 foot waterfall as it plunges into the head of a steep box canyon. The waterfall never completely dries up, but in dry times it does slow to a trickle. You can call to check if there is swimming on the day of your visit. Our visit day included a no swimming day due to the bacteria levels, which was ok with us because this place was just beautiful to be at, take in, and experience. During our walk we saw butterflies, worms, and fish. We heard a couple of strange noises out in the brush but we didn't get to see any other animals. The beauty of this place was all around us. The water flowing of the waterfall. The birds flying around from their nests hollowed in the Limestone. Seeing how the rock and the trees surround this place was so beautiful to look at, even my daughter was so amazed. -What I learned was not to put white on a toddler. -Bring water for everyone. Short walk but you get lost looking at everything that time passes you by. -Wear comfortable shoes and clothes for this experience. -Even if you go on a NO SWIM day, enjoy the view. -No matter what age, you will all enjoy the beauty of this Texas treasure. -Hats, sunglasses, sunscreen, etc... it is HOT right now. -Plan ahead. Due to the size of the preserve and trying to preserve it for everyone to enjoy-limited entrance. Call ahead. -This place is perfect for a picnic. ***Disclosure-I received this product included in my Influenster #SpringVoxBox to review and sample. Any and all opinions stated are my own based on my personal experience. 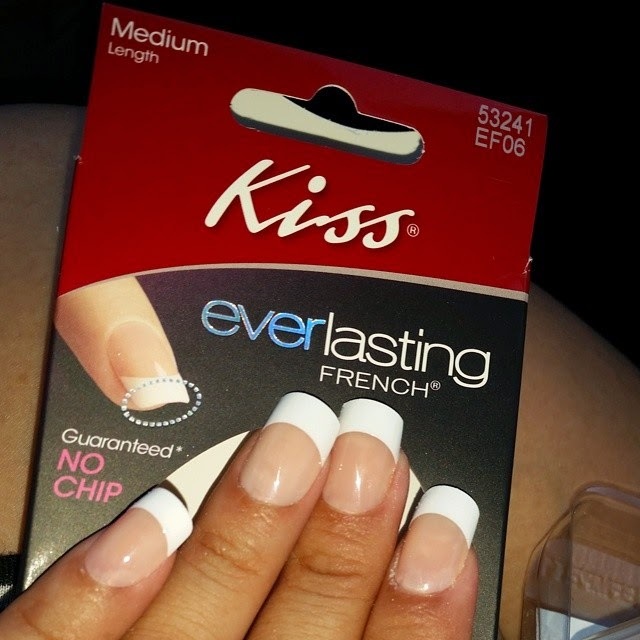 The timeless look that’s always in style, KISS everlasting French is the ultimate French manicure that never chips, guaranteed. Rich, white smile line is flawless and looks like you just left the salon—select from different tip thicknesses and lengths—file to any shape with no tip wear. 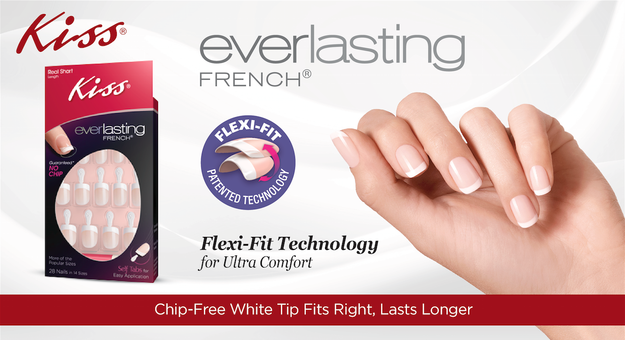 Available in Flat and Regular nail arches with Flex-Fit Technology to ensure ultra-comfort and a perfect fit! They are super easy to use and apply for yourself. And the end result is salon quality....see above pick of my nails after I applied them. Apply glue to back of artificial nail. Apply glue to natural nail. Align with cuticle, press on & hold for 5 seconds. If kit includes Easy-Apply Tabs: Remove Tab by bending down, then up. I liked the length they came in already. They can buff them down to whatever size you want. I actually applied these nails on my recent road trip of out town. That is how easy they were to use. 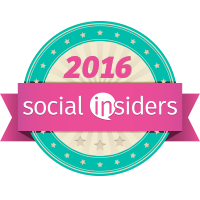 ***Disclosure-Yo soy miembra del grupo de Sea World 2014 Wildside Blogger. 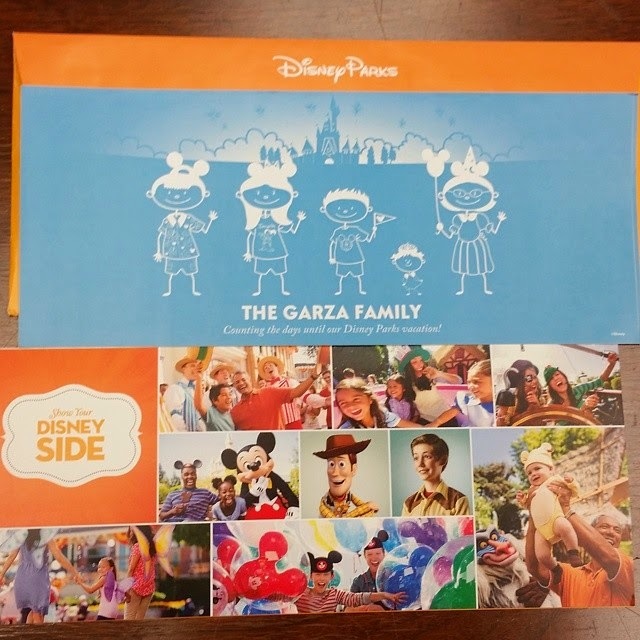 My familia y yo recibimos passes para Seaworld, y invitacion para AdventureCon (incluyendo pases Quick Que y pases para comida). Estas son mis opiniones de parte de mis experiencias. Por fin llego el dia que nuestra familia va a tener la experiencia interactiva en Seaworld Aquatica - Roa's Aviary. El mes pasado venimos al parque pero el Aviario no estaba abierto todavia, puedes leer nuestra experiencia con animales. El Aviario ya esta abierto para todos los que entran al parque Aquatica. En el Aviario de Roa hay mas de 300 aves, cuando entras puedes encontrar las tarjetas de guia. Tiene la foto y nombre de las aves que puedes encontrar. Toda la familia puede tomar parte y lo que me encanta mas es que aunque la escuela a terminado aqui puden segir las lecciones. El Aviaro es tan interactivo que asta puedes darle de comer a las aves. Mi nena le encanto buscar las aves y darles de comer. En el centro del Aviaro estan Entrenadores de Aquatica con vasitos de comida que ya esta lista y es parte de la dieta de las aves. Mi parte mas favorita fue que los ninos no importa la edad pueden estar tan certa de estos animales tan maravillosos. Esta si fue una experiencia interactiva. No se te olvide que esta atracción y las nuevas piscinas se encuentran en la zona Loggerhead Playa de Aquatica, que es una nueva "línea de playa". Para mas informacion, entra a Roa's Aviary. · Always Use a Moisturizer with Sunscreen – It is important to use daily sun protection. Not only will you be preventing the dreaded dark spots or hyperpigmentation, but also premature wrinkles, which are 90% sun induced. 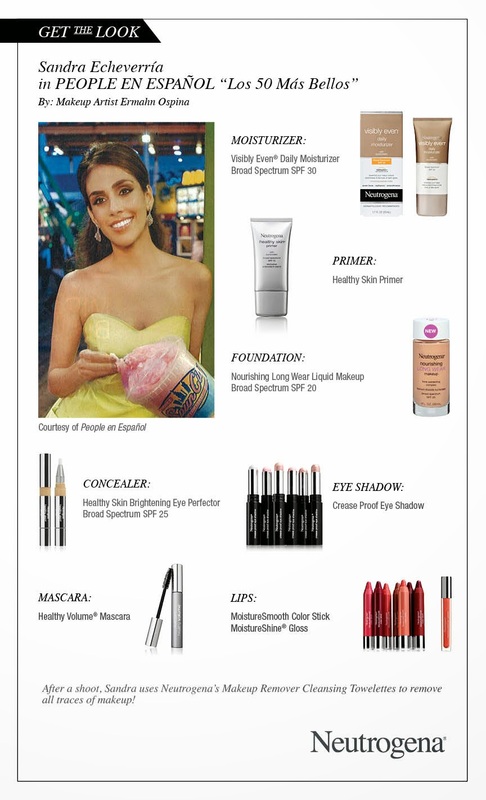 o Extend your daily application of sunscreen and face lotion down to these areas. · Revitalize Your Body – Chances are you are spending countless hours under the sun leaving you with very dry skin, even your feet from wearing flip flops! Pamper yourself by taking short, lukewarm showers while using a moisturizing cleanser that will help revive your skin. Rely on natural ingredients such as oat to help improve the health of your skin. · Treat Your Uneven Skin Tone – Sun damage can cause uneven skin tone and dark spots. Use a moisturizer with soy and sunblock to help even out skin tone. · Drink Lots of Water – Keeping ourselves hydrated during the summer is of vital importance, therefore, drink lots of water and very frequently. AVEENO® POSITIVELY RADIANT® Skin Brightening Daily Scrub - Contains soy extract and microbeads, and it is especially formulated to improve skin tone and texture for a more radiant skin. AVEENO® POSITIVELY RADIANT® Targeted Tone Corrector Combines ACTIVE NATURALS® Total Soy Complex and Vitamin A, two effective ingredients to even skin tone and fade dark spots. Formulated with ACTIVE NATURALS® Colloidal Oatmeal, AVEENO® Daily Moisturizing Body Wash cleanses and moisturizes for visibly healthy skin and it is gentle enough for sensitive skin. Using a lotion such as AVEENO® Daily Moisturizing Lotion that contains natural oatmeal will help you hydrate your skin leaving it soft and smooth. What are your kiddos watching? My toddler loves Pound Puppies. Not every puppy is perfect for every person, and the Pound Puppies are dedicated to making sure their furry friends end up in the right hands! Lucky, Cookie, Niblet, Strudel and Squirt continue on their mission to find a person for every pup with the release of Pound Puppies: A Perfect Match on DVD. Featuring five fun-filled adventures. The Pound Puppies find they have their paws full with their newest adventures! 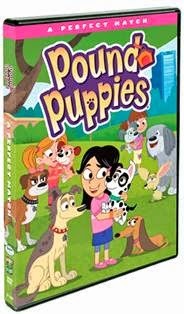 In A Perfect Match, the Pound Puppies come to the rescue when a so-called “un-matchable puppy” finally finds his match – and loses him, assist a shy puppy on a High Energy Scouts camping trip, help a furless pup to bolster his confidence, and they have to investigate why a paper girl’s deliveries are always late! Winner of the 2012 Humanitas Prize in Children’s Animation, the Pound Puppies series is currently airing on The Hub in the U.S. and YTV in Canada and stars the voices of Eric McCormack, Yvette Nicole Brown, Michael Rapaport, John DiMaggio, Alanna Ubach, René Auberjonois, and M. Emmet Walsh. The daily recommended allowance of fruits and vegetables for most children is five or more servings a day . If you have a picky eater, this can be quite challenging. I am so glad I do not have a picky eater but when she gets sick she acts like she does not want anything. I like that I have an option like Sprout Baby Foods. Sprout Baby Foods, leading company in organic baby food, can offer suggestions on the best ways to incorporate Fruits and Veggies into your child’s diet. 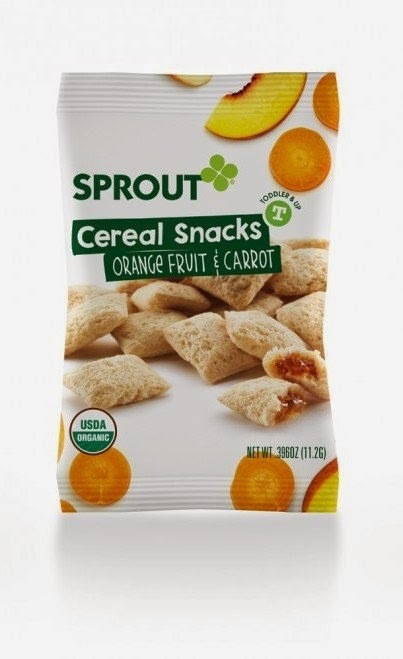 Sprout’s mission is to create delicious and nutritious foods using the finest organic ingredients. -Multigrain pillows filled with nutritious and naturally sweet fruit and veggie goodness. -These snacks are super because their fruits outshine others in beneficial nutrients. These extra-special ingredients are combined with other favorites for extraordinary flavor. I like that my daughter likes this and is getting all the nutrients she needs. Sprout has different stages of food from baby to kids. 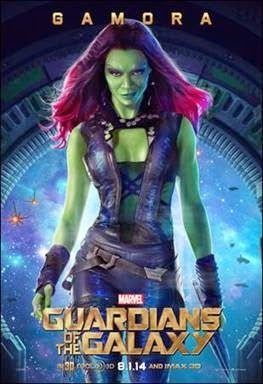 ***Disclosure-This is a USFG sponsored post. As always, any and all opinions stated are my own based on my personal experience. Summer is here and it is HOT. All I want to do is hit a water park. Just this weekend my husband was asking me when are we going to go to Schlitterbahn. Schlitterbahn is so close to home. Like I have told you before their water park is huge and it has outdoor and indoor amenities. The last time we visited we brought our ice chest full of food to fuel us for the day. We didn't have to wait in line when it was time to eat. And I had healthy snacks for everyone to enjoy. One of my favorite things I like doing is freezing fruit. This also works to keep anything else in the cooler cool all day because you know at the water park you lose track of time. And when the kids get hungry, especially my little toddler, they just want to grab and go back to the water. Putting fruit on popsicle sticks is so easy and you can do many combinations. You not only can do fruit but you can make a fresh snack. When I was little we use to make these all the time. Make any kind of juice you want. I like making fresh juice on my juicer. Chop up some fruit. Fill the plastic bag with drink and fruit. If you do not want fruit, then skip adding fruit. Tie the bag and stick in the freezer. These do not take long to make and are so good. We can pack them in your ice cooler as a drink and it also acts like ice for the cooler. We love making these in the summer for the kids to just grab and go. You can also do milk for the toddler. My mom use to make use strawberry milk of chocolate milk ones growing up. 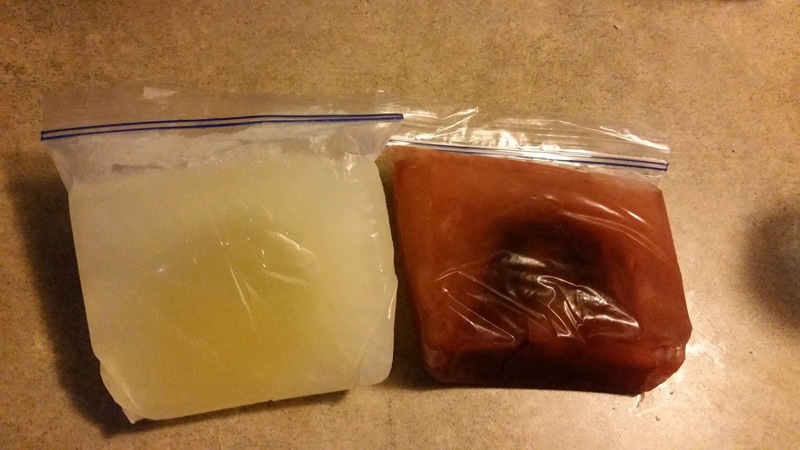 If anything by the time you are ready to eat you can use it as a drink if you didn't want it frozen. I need to ask the kids which ones they want and make some prior to our trip to Schlitterbahn. Packing our picnic of food and drinks is always a family affair, so everyone gets what they want. So glad we can bring ice chest, that is one less thing I have to worry about, oh and parking fees too. Do you have any recipes to share? I would love to see what you all pack, maybe I can add it to my picnic. Coming soon....I love the penguins. We cna't wait to see what all they get into. AVEENO® Baby, la marca recomendada por pediatras por más de 60 años, se enorgullece en presentar al Dr. Alberto Cotton, certificado por la Junta de Pediatría como su pediatra Hispano de confianza. El Dr. Cotton es un reconocido pediatra radicado en Miami con 17 años de experiencia. Comenzó su carrera en Buenos Aires, Argentina donde se graduó de la Universidad de Buenos Aires y donde luego abrió su consultorio privado. Actualmente, el Dr. Cotton divide su tiempo trabajando en centro de urgencias del Miami Children's Hospital y su consulta privada. "Es un placer tener la oportunidad de trabajar con una marca tan respetada como AVEENO® Baby. Como pediatra, es importante poder recomendar y confiar en productos que ayuden a nutrir y proteger la piel delicada del bebé, y eso es exactamente lo que hace AVEENO® Baby", dijo el Dr. Cotton. El Dr. Cotton será la nueva voz de AVEENO® Baby para la comunidad Hispana, compartiendo su experiencia profesional a través de entrevistas e iniciativas exclusivas. La meta de AVEENO® Baby y el Dr. Cotton es proveerle la información correcta a las madres latinas para poderles dar el mejor cuidado a sus bebés. Asimismo, queremos ofrecerles entrevistas personales con nuestro Pediatra certificado de AVEENO®, fuente confiable de experiencia en el cuidado de los niños. Clean eating has become a part of our lifestyle. Not only because my mom and I have food allergies, but also because I newly discovered my daughter has them too. So finding alternatives to food we like is always a challenge, we are use to taste. One thing I could not give up is chips. I like the crunch. TortatosTM are the world¹s first-ever half tortilla chip, half potato chip ­ which uniquely combine red potatoes and stone-ground white corn to create a chip with the crunch of a tortilla chip and the finish of a potato chip. The white corn¹s inherent sweetness and the excellent flavor of red potatoes provide the best tasting and lightest chip, with 25% less fat than traditional potato chips. As with all RW Garcia chips, Tortatos are all natural, Non-GMO Project verified and gluten free certified, and they contain no additives or preservatives. The new RW Garcia Tortatos come in four flavors familiar to those who love traditional potato chips ­ Original, Barbecue, Salt & Pepper and Salt & Vinegar. RW Garcia¹s Tortatos are now available in Central Markets throughout Texas. These are so good. I am glad that we can all enjoy them. And are a great way to not get sick in our house because we are not allergic to these. ***Disclosure-Sample product was received to review. All opinions stated are my own. It is time to get out your grills and have some grilling fun! I love cook outs on our grill and so does my husband. Trying new recipes is always a must, but also trying some of our favorites. Like K C Masterpiece...my son loves everything barbeque sauce.So of course it is a staple in our home. We put barbeque sauce on sausage, ribs, chicken, on everything. KC Masterpiece® Barbecue Sauces are rich and thick, adding smoky and sweet flavor to every bite. They're great for broiling, baking and grilling, and as an ingredient in recipes. As the temperatures rise and grilling season becomes well underway, focus on flavor to take your backyard barbecue to a whole new level with KC Masterpiece’s limited-edition anniversary blend. This new sauce is KC Masterpiece’s way of celebrating 35 years of delivering authentic barbecue taste and creating culinary masterpieces. 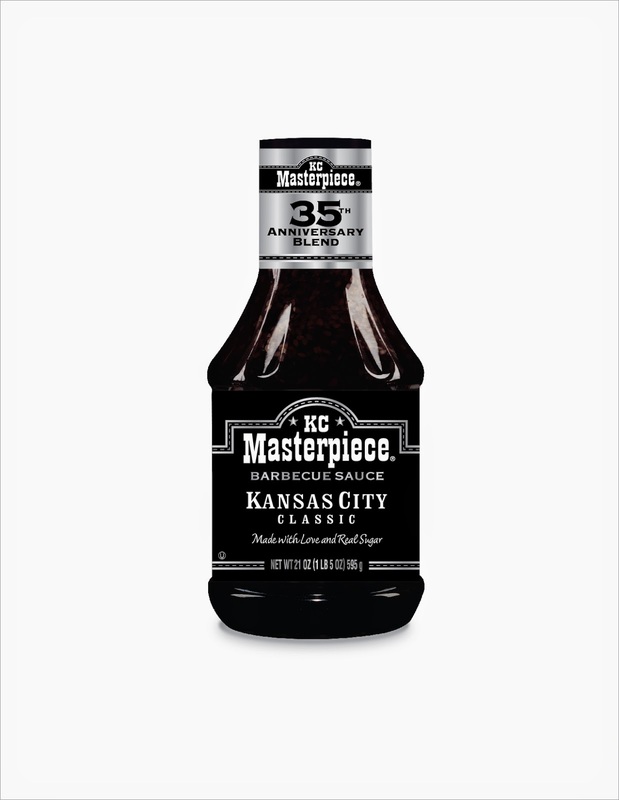 The makers of KC Masterpiece took everything they learned about making great barbecue sauce over the last three decades to create a special 35th Anniversary Blend. This blend is made with real cane sugar and rich dark molasses, striving to deliver an authentic taste that makes any dish an American classic. This sauce will only be available to its original fans in America’s heartland cities, including Houston. Sauce expert and founder of the renowned American Royal International BBQ Sauce, Rub and Baste Contest, Ardie Davis, has been a long-standing fan of the KC Masterpiece story for more than 30 years. Davis attended the first American Royal in 1978, where KC Masterpiece won “Best Sauce” for its Blue Ribbon recipe. My son swallowed this barbeque sauce. He loved it. I bearly got to sample to taste it and we all thought it was really good. Worth licking your finger for the extra sauce dripping off the ribs.